TALLAHASSEE, Fla. – On Saturday October 31, trick-or-treaters will be out haunting Florida neighborhoods. The Florida Highway Patrol (FHP) is reminding motorists and pedestrians to use extreme caution and safely share the road this holiday weekend. FHP will join thousands of law enforcement and highway safety agencies across the nation in enforcing Drive Sober or Get Pulled Over. This safety campaign is designed to discourage impaired driving through the use of targeted enforcement and increased visibility of law enforcement on the roadways. The Department of Highway Safety and Motor vehicles strongly encourages parents and drivers to take extra care in safeguarding children. Low visibility and heavy pedestrian traffic can make Halloween roadways a bit tricky; these safety tips can help make this holiday a treat. Pay attention and eliminate distractions; turn off the radio and put down the phone. Be patient and slow down. Costumes may impair a child’s ability to see and hear approaching cars, preventing them from getting out of the roadway quickly. Remember that children will be excited and may forget to “stop, look and listen” before they cross the street. Be aware of your surroundings. Don’t wear headphones or text while walking. Children under the age of 12 should not trick-or-treat unsupervised. Walk with your trick-or-treaters and hold the hands of young children. Review pedestrian safety with teens if they trick-or-treat without supervision. Plan a safe way to get home before you attend a party. Alcohol impairs judgement, as well as reaction time. If you’re drunk, you’re more like to choose to drive drunk. 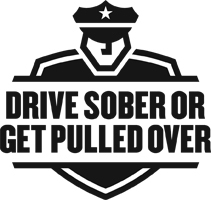 Designate a sober driver, take public transportation, a car service or a call a sober friend of family member to get home. Use AAA’s Tow-to-Go program for a free local ride within a 10-mile radius to a safe location. The AAA tow truck takes the vehicle and the driver home. Call (855) 2-TOW-2-GO (286-9246). If you see a drunk driver on the road, contact local law enforcement as soon as it’s safe to do so. For more Halloween safety tips, visit our website.